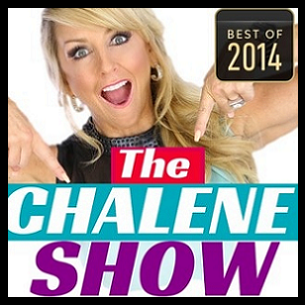 Free Podcasts with Chalene Johnson! I’ve been a Chalene Johnson fan for nearly seven years and consider her to be one of my mentors – not only in health and fitness, but in business and goal-setting as well. So I’m not really sure how I had no idea that she has two free podcast shows until recently. Aaaaaaaaaannnndddd now I’m hooked. I remember meeting and working out with her in person back in 2011, when she was in town to do an appearance on Good Morning America. It was crazy, because – although I was excited to have the opportunity to do a Turbo session with her – I totally underestimated the amount of positive energy she has. If you’re a fan of Turbo Jam, TurboFire, PiYo, etc., you already know that she’s bubbly and upbeat in front of the camera. But when this pint-sized blonde woman walked into our studio at 24 Hour Fitness in midtown Manhattan, it was obvious that that’s how she is in real life as well. The girl working out next to me even burst into tears once the door swung open (a bit dramatic, but whatevs). Chalene was so great at pumping us all up, that I didn’t even realize that 2 hours had passed without us taking a break, as we transitioned from Turbo Kick to a Hip-Hop Hustle routine. Anyways, that addictive, positive, and genuine persona of hers is completely evident in her podcasts, and I have been listening to them non-stop for the past several weeks. She has two shows – The Chalene Show and Build Your Tribe, which is specifically for business-related topics. Both include a wealth of advice and tips from experts that she brings on the show, and I now resort to listening to the recordings whenever I feel like I need a pick-me-up throughout the day. There’s something very encouraging and comforting about her voice, and I now schedule “Chalene podcast hour” into my daily routine and consider it my personal development time. Intermittent fasting (IF) is effin’ amazing. It may not be for everyone, but it works like magic for me. How to have “laser focus” and achieve more in four hours than most people do in eight. Your PUSH goal (if you don’t know what that is, I recommend checking out her 30-Day PUSH Challenge) isn’t necessarily what’s most important to you, but it needs to be your top priority, because it’ll enable you to achieve your other goals. The physical cues of a narcissistic/snobby person are the same as someone who is shy. How to “reverse engineer” a difficult decision. It’s better to concentrate on small, measurable, short-term goals, because looking at the big picture 24/7 gets to be too overwhelming. IN SHORT: Go listen to Chalene’s podcasts – CLICK HERE. They’re free, and you can listen to them when you’re driving, folding laundry, relaxing before bedtime, or just need a break in the day. I’m also contemplating starting my own podcast at some point, BUT… I’m not sure yet. First, I need to see if Halela & 5th can gain any regular followers who aren’t my mom.